Design, layout and photo editing. A concise publication to highlight some of the many UNESCO activities implemented on the Small Island Developing States Intersectoral Platform. Small Island Developing States (SIDS) today face unprecedented challenges. In a globalized and interconnected world subject to changing climatic conditions, small islands are particularly at risk – whether from increasingly unpredictable and severe weather, the prospect of rising sea levels, or their geographical isolation and economic vulnerability. However, small island societies have a record of thriving in challenging times, inventing and refining new and innovative approaches to development, societal mobilization and technological adaptation. 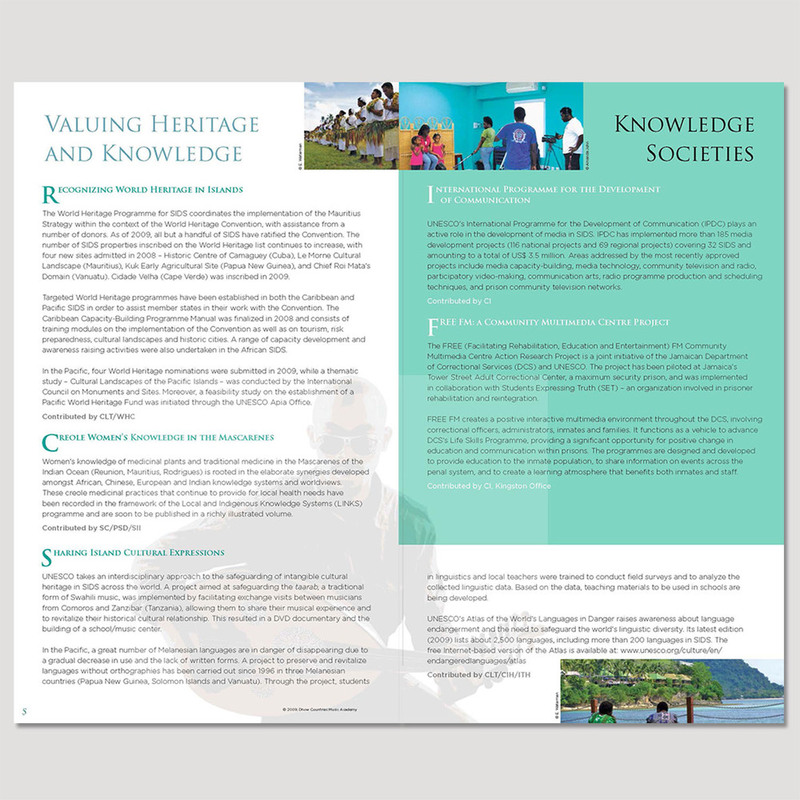 More and more interdisciplinary in nature, drawing on expertise in both UNESCO Headquarters and Field Offices, UNESCO’s support to its SIDS member countries strives to match the inventiveness and determination of island societies themselves.